BigUniverse.com is an engaging, online community of readers and writers. It is targeted to students and teachers in Grades PreK-8 and has over 5,000 titles to choose from that can be read aloud to your class or read by the student on the computer. A student can search titles by different genres and categories. Teachers can use it to choose books for their students by reading level as well as by genre. Reading levels are set up for each book using the commonly used Fountas and Pinnell Reading Level, and correlating it to DRA and Lexile levels used by most teachers. These titles can be used on the Smartboard as a mini-reading lesson or printed out to use in Guided Reading Groups. In order to use this website, a teacher (or school district) must request a free trial which can be used for 1-2 weeks. Once your request is approved and processed, you can set up individual usernames and passwords for your students. You can decide whether students can chat with the entire community of biguniverse, or just with their group or class. The teacher can go into the group account and check the activities of each student. There are assessments that can be assigned to your class and you can continue to monitor their results. It also allows a teacher to see a students’ growth in grade level and comprehension skills. I requested a free trial subscription for my class. After receiving my group username and password, I navigated the website which is divided into Read, Write and Share subheadings. I set up Usernames and Passwords for each student. I limited their Chat capabilities to our group only. We spent a few days using the website as a class and then I sent a Parent letter (provided on website) home that further explains the website and its benefits in enhancing their child’s reading and writing skills. In the read section of this website, you can search for book titles by reading level, genre or age group of students. You can sample books in each area. There are some books that are available as narrated Read Alouds which take you through a book with highlighted words as it is read to you. The books that are not ReadAlouds can still be presented to the class in a large, Smartboard setting. Each book is presented with beautiful illustrations and very child-friendly. My recommendation is that books are read prior to presenting to or assigning to students. In going through some of the books, I came across some with grammatical or typographical errors. It may be hard to notice at first because the illustrations are magnificent. Also, some books I found to be inappropriate and that I would not recommend to my students. For example, “Jail is Not Fun” was not a story I would present to my class. This section of the website is intriguing. You can actually publish your own book following step by step directions as you go along. You can use their set of clip art or upload your own. Many teachers have published books in this section. Also, some students work has been published. This would be an excellent goal for students when learning how to write, rewrite and edit stories. The end result would bring such gratification to the student that it would encourage them to continue writing. In this section, teachers post recommended writing prompts which you can comment on, as well as assign to your group of students and keep in their accounts. This would add to a student’s online portfolio and is especially useful for teachers to use in assessing students and to plan future writing lessons. The Share section seems suitable for upper elementary students and teachers. It is a blog set up in different sections to discuss read and write activities, as well as suggestions for student activities. This is available to all members who are cited as allowed to chat with the entire website and for teachers who register to use this site for their class. This is an excellent sounding ground for teachers to share their experience on the website, as well as teaching tips that evolved into lessons from reading and writing on BigUniverse. BigUniverse.com is an innovative website that provides additional reading support as well as assessment components for teachers. It encourages students to read and write because of the interesting categories, beautiful illustrations and the opportunity to publish their own work. 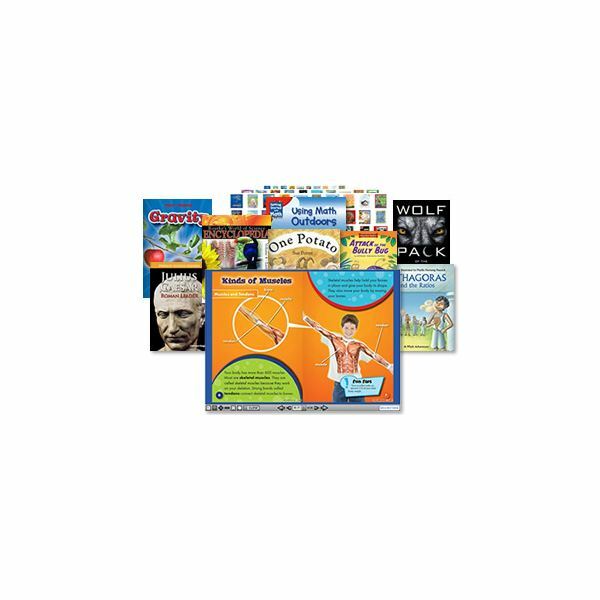 This website has the potential to be very successful as long as the public Readaloud books are continuously monitored and edited by staff to prevent any books that are inappropriate for children, or not correctly written, from being exposed to children who are blossoming as readers and writers. I recommend you “taking a detailed tour” of this website as a teacher before introducing it to your students.